Houses & Homes VA: Yes, you NEED a Virtual Assistant but is the timing right? Yes, you NEED a Virtual Assistant but is the timing right? 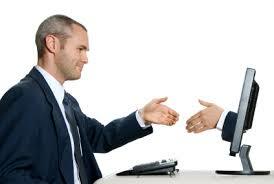 This is not the first time that I have discussed why you should have a virtual assistant as part of your staff. The amount of time that you can free up to do more important things can make a huge difference in your daily life and provide you the opportunity to do more important tasks. It has occurred to me however that hiring a VA at the wrong time can be a big mistake. Why do I say this? Well, one thing that many people overlook when hiring a VA for the first time is the fact that you must have a game plan for them to follow from day 1. Without proper planning your new VA will not know what to do and you will end up paying for a lot of wasted time and energy. Assuming that your VA will simply “jump in” and start performing miracles is not very realistic. Remember, most VA’s are telecommuters and will not be sitting next to you in the office. You need to provide them with a definite strategy and details on exactly what they need to do. This means that you must have a proven system in place before hiring someone to take on those particular duties. It’s time to hire a VA when you are already doing their job for them. If you are spending too much time answering the phone, posting blogs, placing ads, doing administrative tasks and so on, that is the time to hire a VA. Your new assistant can be taught exactly how you want these things done and you will then have more time to deal directly with clients and do the things that you do best. More time with clients can translate into more business and isn’t that the ultimate goal? Finally, don’t expect miracles! You need to give your new VA the time to adjust to your specific needs and goals. Be picky when hiring your new assistant. You wouldn’t hire any other employees based on a 5 minute Skype interview, right? Then why do this with a VA? You might be surprised to hear me say that in many ways a virtual assistant is the most important person in your company. Does that sound strange to you? It shouldn’t. A well qualified VA can do something that other employees can’t; they can increase your productivity time. What is more important than having enough time to keep your clients happy and to respond to their concerns quickly and efficiently? I can’t think of a single thing because even the most efficiently run business is obsolete without clients. A VA can literally change your life but not if you don’t take the time to hire the right one and train them well.